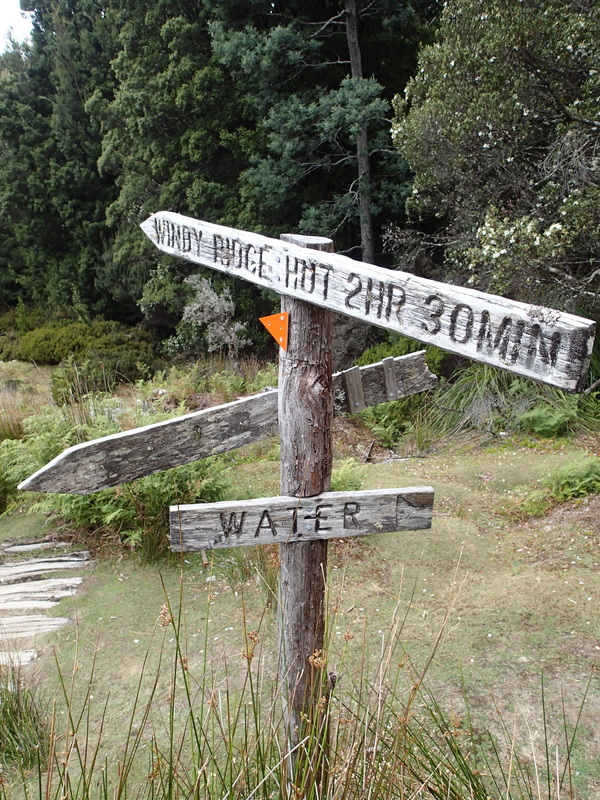 Kia Ora to Windy Ridge Hut is 8.6km with an estimated time of 3.5hrs. This is part of the Track where you can take in spectacular waterfalls such as Fergusson Falls and D'Alton (1 hour return, 1 km) and Hartnett Falls (1.6km, 1 hour return) plus the landscape that will take you through dense scrubby forests and tall myrtle forests. The waterfall sidetrips are highly recommended, though care needed on the steep and frequently slippery slopes. Hartnett Falls is thought to be the best of them all, so try to make time to visit this one if you can. Windy Ridge Hut (also known as Bert Nichols Hut) is one of the newest huts on the Track, and the fanciest, costing $1.2million when it was built in 2008. Now, in 2014, it was showing signs of wear and tear. 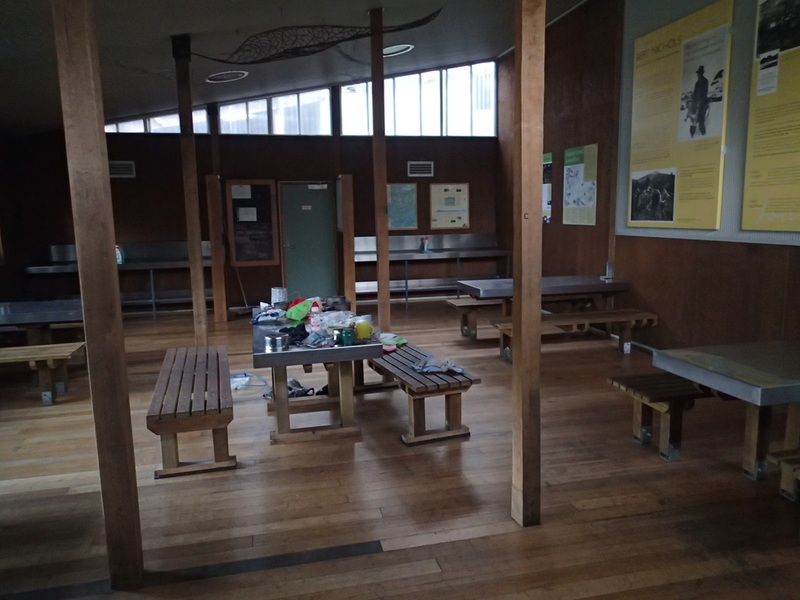 It sleeps 24 people (the same as Pelion Hut), but appears larger due to its higher ceilings, and is better designed (with a lot more light via skylights) with separate areas for communal dining and sleeping. It even has areas for hanging up your wet clothes, and storing your pack. And its larger to accommodate people caught in bad weather unexpectedly. I believe that there has been controversy over its construction at the time it was built but as a visitor, I didn't have any issues with it. 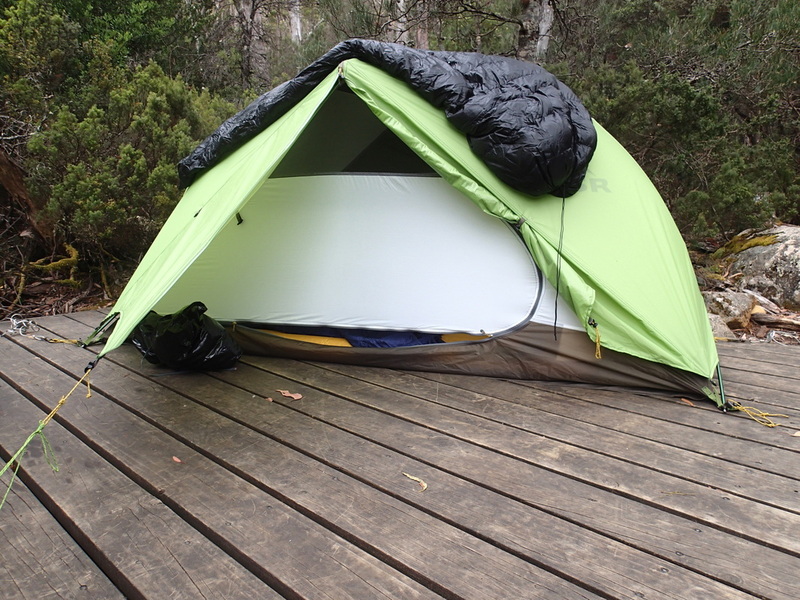 A popular and busy hut, I chose to do my sleeping in the tent, on one of many tent platforms nearby. 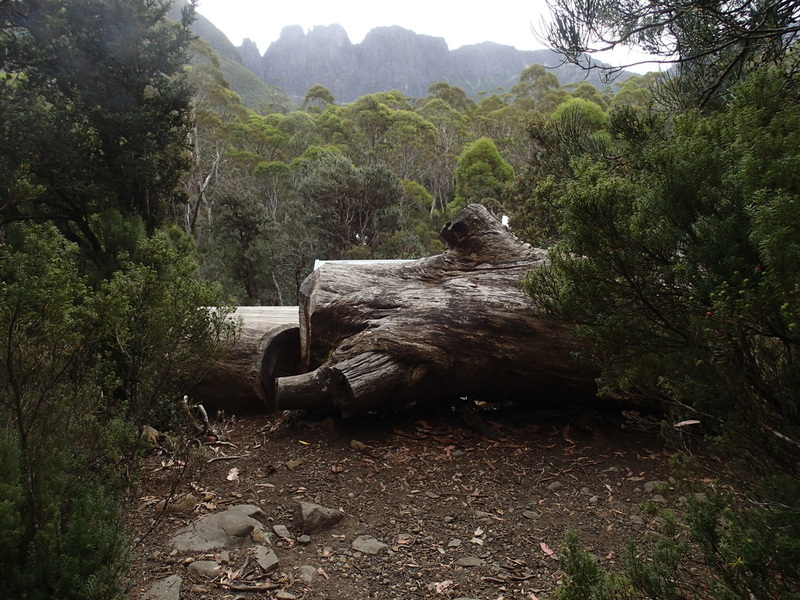 The noise and some of the odours in the rooms (from hikers) was not ideal for sleeping. 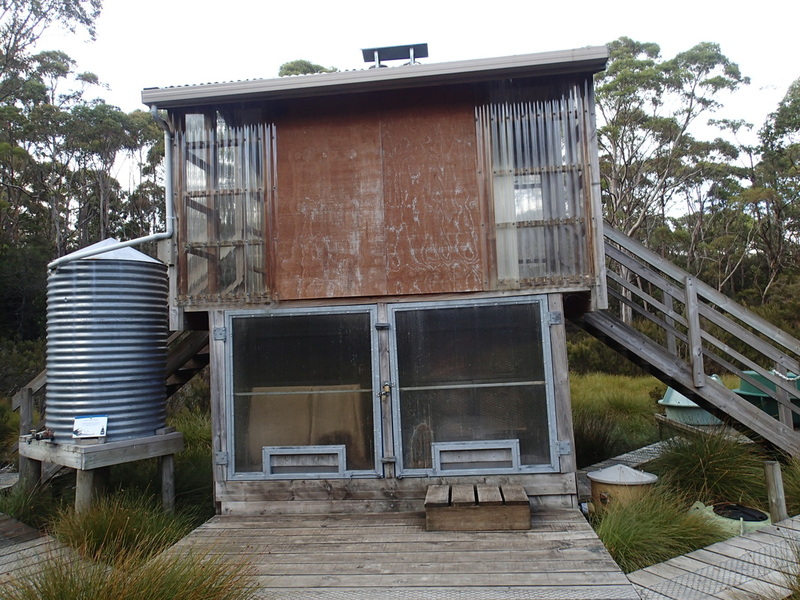 There are 2 composting toilets around 50m from the hut (use quickly due to the smell).